Voted No #1 by Alkaline Water Machine Reviews 2 YEARS Running 2015 & 2016. Three minutes give you the healthy water. 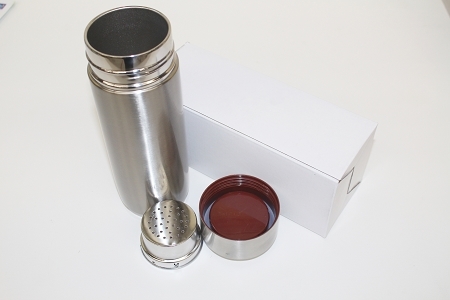 Stainless steel alkaline flask. The common purified water is of macrolecule group with acidity, no mineral element. If you drink it for long term, the immunity will be brought down. 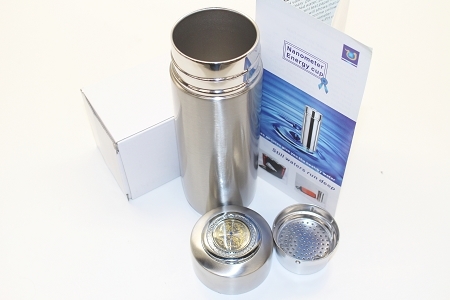 Filter inside nanometer energy cup has pearl calcium ion and energy stone, they can release far infrared ray and negative ion. Resonance will happen between them and water molecules, which will release mineral element(such as Ca, Mg, K, Na and change ordinary purified water into nanometer activated water. Nanometer activated water is made up of macromolecules group, with negative potential & alkalescence, it has strong penetrability and solubility. 1-2 years for energy stone. If you find sediment adhering to the cup, clear it with hot salt water. Wash it once a month. 1. Alkaline water: Make the drinking water to be alkaline, neutralize human bodies, acidic substances and keep balance of the body system. 2. Negative potential water: Normal water will be adjusted to negative potential water with an ORP below -200mV in about 5 minutes. It is a strong anti-oxidant which removes free radicals, enhance immunity and keep us from aging. 3. Add beneficial microelements: Various natural mineral substances are set out which provide body with necessary microelements and improve body organs to grow healthy. 4. 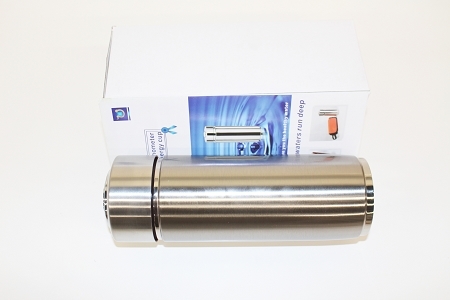 Energized water with small molecular group: With strong osmosis, diffusibility and oxygen-affinity, nutrients and more oxygen brought by energized water are easily absorbed into our body cells, and easily take the waste and toxins away from our body cells. It will greatly improve our metabolism. 2. Change the common water into nanometer activated water, which is rich in mineral element, such as Ca, Ma, K, and Na. 3. Resist oxidation, delay senility & be favorable for human being's health. 6. Strong solubility, and long-term's drinking can prevent the renal calculus.